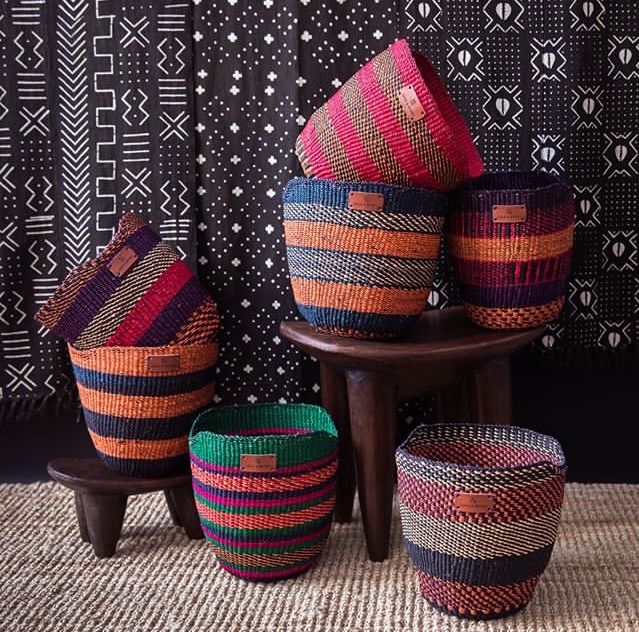 LOLA & MAWU is a fantastic online shop that sources designs from West Africa. Each piece is handmade and the money from purchases goes back into that community. The shop of LOLA & MAWU is an incredible array of colours and textures made with some clever material use. A few baskets designs incorporate textiles from old clothing, some of it approaching 25 years old. Other baskets include plastic bags from fresh water that is provided for these communities. Glass beads are made with discarded glass which is then crushed down and rolled into the beads you see in many of the jewelery pieces. I was blown way reading about all the work in this shop! It’s so exciting and inspiring! I’m so glad there are initiatives like this out there and that shops like LOLA & MAWU are celebrating these talented beings and making sure they are credited for their hard work. All images courtesy of the LOLA & MAWU Instagram account.